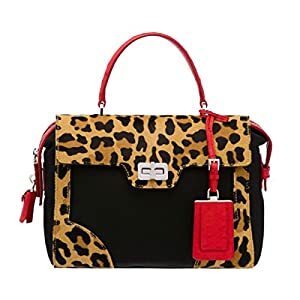 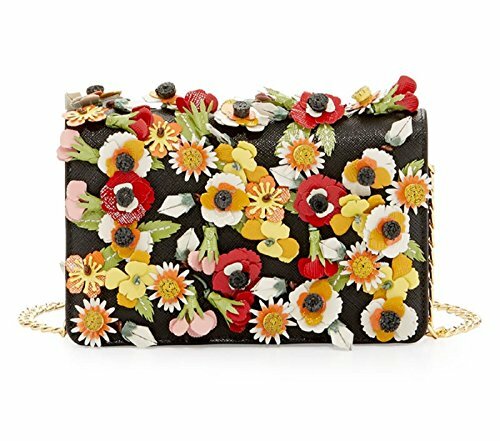 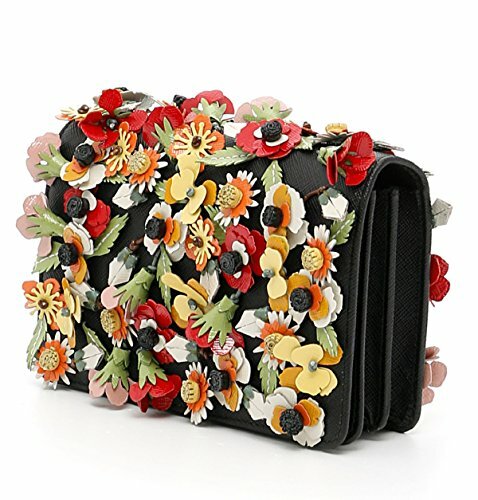 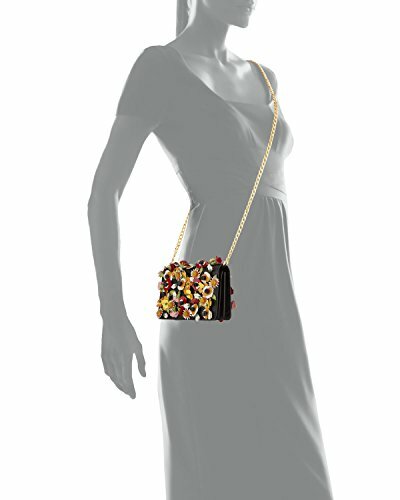 FLORAL APPLIQUE: In various vivid colors, this high-end bag has several flower designs sewn into the black leather that creates something that is truly as unique as you. 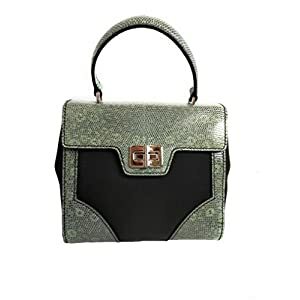 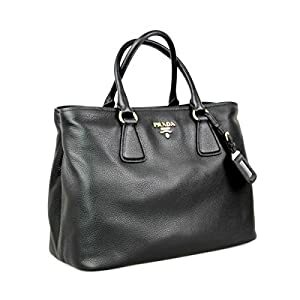 LEATHER MATERIAL: Made of durable leather material, the brightness of this purse will reflect your own brightness for years to come. 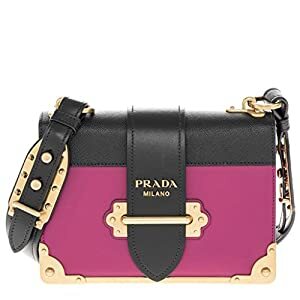 GOLD-TONED HARDWARE: This handbag uses gold-toned hardware that includes a removable crossbody chain strap and zipper pocket.